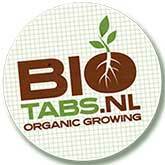 BioTabs is a Dutch company specialized in producing organic fertilizers and boosters for growing, and also additives to improve the substrate. 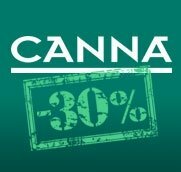 The main advantage of BioTabs products is that are thought to ease the grower's job, that for a low efford, will get a huge crop, of top shelf quality 100% organic. Biotabs philosophy is based in preparing a good substrate before placeing in the plants, so once this job is done, it will only need regular irrigation of pure water (without needing any added fertilizer to the liquid). The base nutrients of this formula are BioTaps tabs that are placed in each pot, that slowly dillute freeing enough feeding for plants developement, covering all their needings without nutrient-locking nor defficiencies. If you are looking for fertilizing products that give you more time to do other things than growing, for the lowest efford Biotabs is your solution! BioTabs Silicium Flash is an organic fertilizer, compound by quick uptaking silicium. Silicium Flash is rich in nutrients and oligo-elements, containing calcium and magnesium. 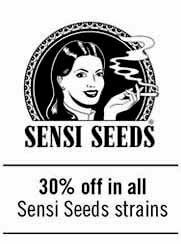 One of the best benefits of Silicium Flash in growth is plants much healthier, that better take advange of the souce given (nutrients), translating it in a more vigorous growth, and an explosive and large flower production. The use of BioTabs Silicium Flash allows growers to substitute the use of Orgatrex (liquid) by a powdery product water soluble. 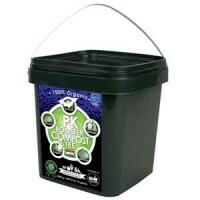 Biotabs PK Booster Compost Tea is a concentrated blend of compost, bat guano, kelp, phosphorus (P) releasing and Potassium (K) mobilising bacteria, and selected special ingredients. 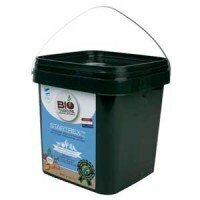 PK Booster by Biotabs is a complete "do it yourself" fertilizing pack, to feed your plants with an extra boost of P and K that will increase the size and the weight of your flowers in a natural and organic way. 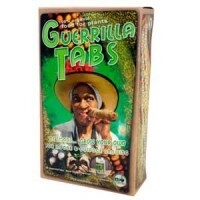 Biotabs Guerrilla Box is a box-pack that includes Guerrilla Tabs and Guerrilla Juice stimulator. 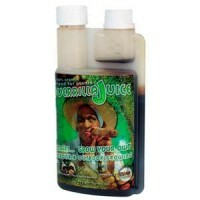 Guerrilla Box is ideal for guerrilla growers, due to slow-release Guerrilla Tabs dissolve slowly, feeding the plants along all its cycle, while Guerrilla Juice should be diluted once a week, after the 4th week. Guerrilla Box pack is a complete fertilizer and booster kit that will increase yields and quality, due to its organic certification. Biotabs Boom Boom Spray is an organic biobooster that contains amino-acids, peptides, glucides and minerals. 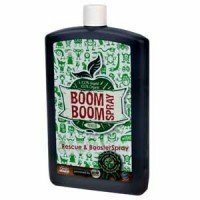 Boom Boom Spray has three main features: It feeds plants with nitrogen, improves yields, and acts as anti-stress effect. BoomBoomSpray is a biological booster that can be used in mother-plants, cuttings, and stressed plants. 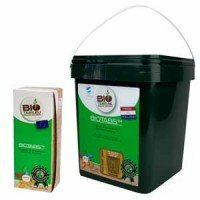 Biotabs Startrex is a fertilizer with high content of probiotic bacteria that prepare the substrate for an increased yields of plants, and bigger fruits. Startrex by Biotabs improves the quality of the substrate thanks to its high content of beneficial bacteria, humic acids, and silicon. Startrex has a control union certified organic input. 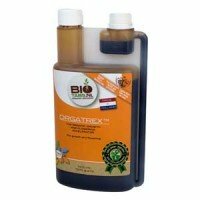 Biotabs Orgatrex is a liquid fertilizer for plants that accelerates growth and flowering cycle, indoors and outdoors. Orgatrex has a high content of trace elements and sugars, that work harmoniously with the soil bacteria and mycorrhizae. 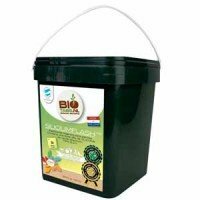 Orgatrex by Biotabs can be used growing in soil and also in coco, being approved by the Soil Association and the Control Union as an organic product. 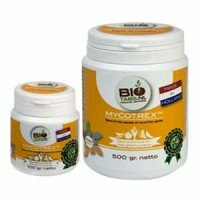 Biotabs Mycotrex is a powerful beneficial fungi, composed of 9 species of Endo Mycorrhiza spores, that can be used growing in soil, or coco, to improve root system uptake up to 700%. Mycotrex improves and increases growth ratio, and rooot system uptake, what derives in bigger plants, with higher yields. 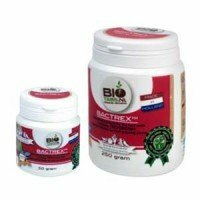 Biotabs Bactrex is a powder, water-soluble, with large amount of beneficial bacteria for soil, and trichoderma. Bactrex improves nutrient uptake, increases the growing speed of plants, and also acts against pathogen fungi to convert organic matter into available nutrients.